Liquid Pool Covers - Is there a Generation Gap in the Pool Industry? I read an article in Aquqtics International today that really started me thinking. It was an interesting and thought-provoking look at the way we communicate, and the differences between the generations. When you get a free moment, I'd recommend reading: "All in How You Say (or Text) It" by Tina Dittmar. I think the reason why I got so involved with the article was, in part, because I was so shocked by the realization that communication has evolved so much over the years. I think that I missed the train, personally, and as I write this blog post I am actually turning into my parents. One of the first reactions I remember having as I read was this "Texting at work!? Inappropriate." As I continued reading, it dawned on me that this article should be an eye-opener! 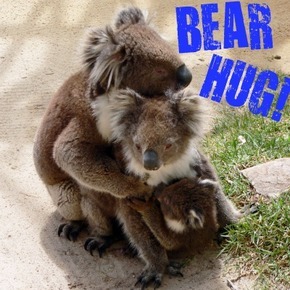 I think of myself as fairly progressive in business - I am a marketer after all, I have embraced web 2.0 like a Koala bear. But texting? With staff!? According to the general snapshot presented in the article, I should - chronologically speaking - fall into the Gen Y generation. The thought of being on the same wavelength as someone who is 14 years old, however, makes me chuckle. Under the heading "Communication" I relate much closer to Gen Y: I do text and use social media, but certainly not exclusively. Texting is reserved for brief updates between friends, sent in full sentences (I abhor "abbreves"), and used as a supplement to actual voice conversations, not an alternative to. As an employee, I actually find myself relating to the Boomers thoughts about feedback. I operate under the assumption that I am doing a great job that will be remunerated with money and title. I hold myself to high standards and don't wait for positive reinforcement because I am fairly certain I am my own hardest critic. However, I do assume that if I do something wrong, I will be held accountable. The concept of looking for feedback on every action I take is foreign to me. The generations apparently expect and give respect differently as well. In my mind, respect should be earned by a combination of experience, life choices, ideas and suggestions. I guess I span the generation gap on this topic. Each of those four concepts need each other to thrive, and shouldn't ever stand alone. The future of management? There are some days when I look at the younger generations - Y and Z, and wonder when the world is going implode. But there are other days - thankfully many more of them - that I watch the accomplishments of people who are SO young and I wonder how we got this far without them. Forecasting how the future of workplaces will look is way beyond my imaginative capacity, but I retain high hopes. The article certainly taught me a few things about my way of thinking. If nothing else, I realized that, despite my own weird concepts of professionalism and communication, I need to get with the times. I need to be able to communicate with my clients regardless of how old - or YOUNG - they may be. I need to learn the new playing field. If you haven't read it yet, make sure you read the original article in Aquatics International, All In How you Say (or Text) It. I'm interested in hearing your thoughts on the matter. Does your chronological age fit with the "generation" that you belong to? Are you taking special measures to bring new methods of communication into your business? Leave your comments below - this really should be an interesting discussion!